The Green Bay Packers have released RB Brandon Saine and LB D.J. Smith today (Wednesday). 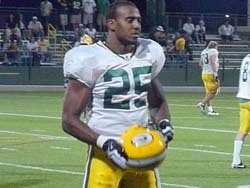 Saine signed with the Packers as a non-drafted free agent out of Ohio State in July 2011, appearing in 14 games during the 2011-12 season. He rushed for 69 yards on 18 carries (3.8 avg.) and caught 10 passes for 69 yards (6.9 avg.) as a rookie in ’11. Saine appeared in six contests in 2012 before sustaining a season-ending knee injury at Houston in Week 6. 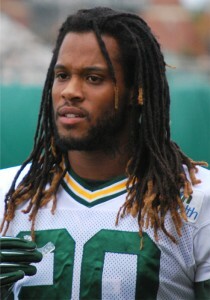 Smith, who was drafted by the Packers out of Appalachian State with one of the team’s three sixth-round picks in 2011, played in 22 games with nine starts from 2011-12. He posted 80 tackles (61 solo), two sacks, one interception and six passes defensed in his two seasons with the club. Smith appeared in six games in 2012 before suffering a season-ending knee injury at Houston in Week 6. Saine sustained a knee injury at Houston on Sunday night. He appeared in all six games this season. White is a second-year player out of the University of North Carolina who was drafted by Buffalo in the fifth round of the 2011 NFL Draft. He appeared in 12 games for the Bills as a rookie last season, picking up 38 yards on 12 carries (3.2 avg) and five tackles on special teams. He played in three contests for the Bills this season, rushing for 34 yards on 8 carries (4.3 avg.). White will wear number 34 for the Packers. Despite being the reigning NFL MVP, Green Bay Packers quarterback Aaron Rodgers can’t do it all alone. Guard T.J. Lang says everything starts with an effective run game which will relieve pressure on Rodgers. 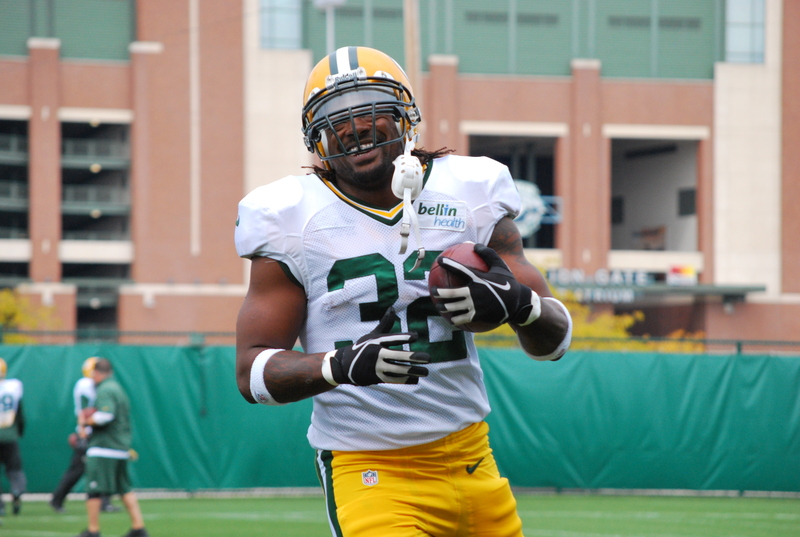 With news that running back Cedric Benson will be sidelined for eight weeks with a Lisfranc injury to his left foot, all eyes are now on the Packers’ running backs. Coach Mike McCarthy has confirmed that Alex Green will be the official starter, but Green, Brandon Saine, and James Starks will all see action. The Green Bay Packers may be playing running back by committee for awhile. Alex Green got the work when Cedric Benson left Sunday’s game against the Colts with a foot injury. Brandon Saine and James Starks are also waiting for their opportunity. 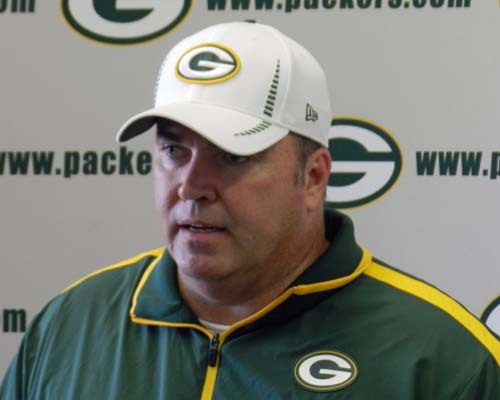 Mike McCarthy said Monday that Benson has already been ruled out of this Sunday’s game at Houston. ESPN reported Monday night at Benson could miss at least eight weeks with a Lisfranc fracture of his left foot. The recovery time is at least 6 to 8 weeks and for many it can be season ending. Green Bay Packers might have trouble fielding a team for a game. The Packers started practice on Monday night with 18-players watching on the sideline and were eventually joined by 2-more players when Sam Shields (elbow) and Brandon Saine (Hamstring) who were injured during work last night. Typical practices run between 2 1/2 hours to 2 hours and 45 minutes. Last night, Mike McCarthy cut the teams final night-time workout to 1 hour 45 minutes. The Packers have already ruled 8 player out of Thursday’s preseason opener against the San Diego Chargers, including wide receiver Greg Jennings who is sidelined by a concussion. The Packers workout at 3:30pm this afternoon, the final open workout before the Packers face the Chargers on Thursday night in San Diego. 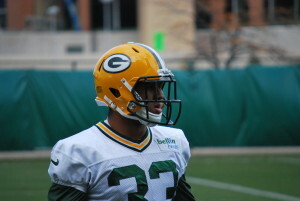 Packers interested in Ryan Grant’s return? they are interested in having him back again next season but aren’t set to make him an offer before the start of free agency next Tuesday. According to a report in the Milwaukee Journal-Sentinel today, Grant’s agent, Alan Herman said he has received word from the Packers that they value the 29-year-old Grant and want him to return to the Packers roster. Grant had 559 yards rushing and 268 yards receiving with 3 total touchdowns for the Packers last season. Brandon Saine and James Starks return healthy for 2012. Fourth-round pick Alex Green is recovering from a torn ACL and there’s no guarantee that he’ll be ready to go for the start of the upcoming season.